Welcome to director Sam (Shmulik) Firstenberg's web site! I just came back from Helsinki Finland where I was a guest of the 2018 NIGHT VISIONS international film festival. 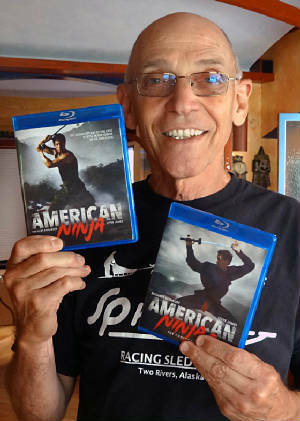 Three movies I directed screened there to enthusiastic audiences(American Ninja 1 and 2 and Avenging Force). In addition there was a reception at the US embassy in Helsinki in honor of the two directors representing the US in the festival and I was one of them (The other was Emma Tammi with her movie The Wind) it was a fantastic exiting experience and great festival. Night Visions is a genre cinema film festival focusing on horror, fantasy, science fiction and cult cinema. The Maximum Halloween section is organized usually as close to Halloween as possible. The event focuses on newer genre films and also screens a selection of old classics and documentaries. 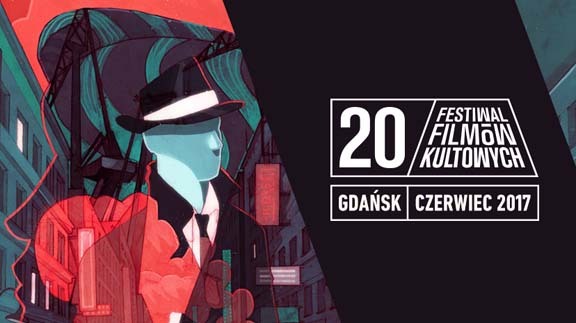 This year they screened 41 feature length films and documentaries in three different theaters, along with a selection of short films during five days. With an enthusiastic dedicated fan base this festival is very energetic and popular. This year (2018) it ended with a record attendance of almost 9,300 film-goers. After every screening there is a Q & A sessions that gives the fans a chance to participate in discussing the film with its creator and talk about various aspects of independent low budget filmmaking. This year’s guests list included Rasmus Kloster Bro from Denmark (Cutterhead), Justin McConnell from Canada (Lifechanger), Christoffer Nordenrot from Sweden (The Unthinkable), Börkur Sigthorsson from Iceland (Vultures), Sergio Stivaletti from Italy (Rabbia Furiosa) and me (Sam Firstenberg). The festival goers had a chance to meet us all. 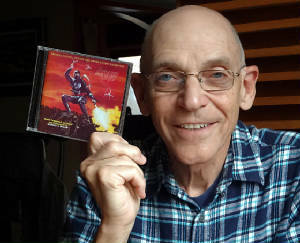 I was proud to learn that I was the guest of honor and the most popular classic genre film in the program was the action thriller I directed in 1986 Avenging Force, with the cult classic American Ninja I directed in 1985 coming right on its heels. All in all my participation in the NIGHT VISIONS festival was an exhilarating experience and I want to use this opportunity to thank the organizers for inviting me and giving me the opportunely to participate in this genre films celebration: festival director Mikko Aromaa, Marko Mäkilaakso, Riina Kesanen, Matti Ramo and all the other volunteers that helped in running the events and making sure my stay in Helsinki was such a pleasant experience. Most rewarding for me was the chance to meet so many fans that remember, admire, and still enjoy the movies I directed years ago, some of them remarkably young. I had a chance to lecture, answer questions, autograph posters, shake hands, and be included in many photos with throngs of loyal fans. Low budget independent genre movies are neither forgotten nor vanishing on the sideline of cinema history. True, they are not mainstream Hollywood, but they are well and alive and here to stay. Thank you festival organizers and Finnish fans for bringing me over and making sure my participation was pleasant and meaningful. 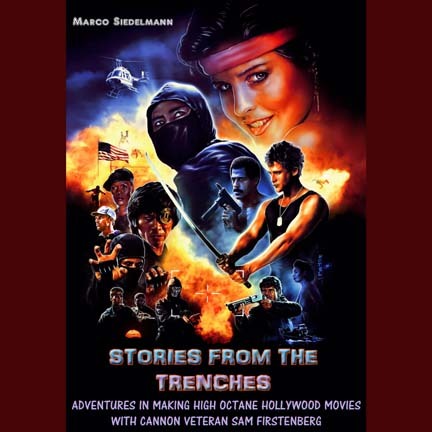 A career-spanning interview book about the beloved Hollywood director Sam Firstenberg. A trip loaded with unique badass film history! Contains original score elements as well as new content enhanced and remastered by Robert J. Walsh. 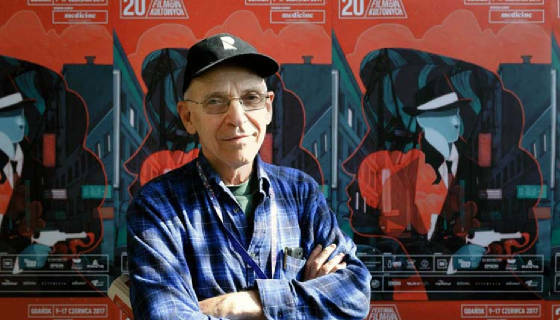 Since 1980 Sam Firstenberg has been a success in the independent filmmaking field, as a director of feature films. 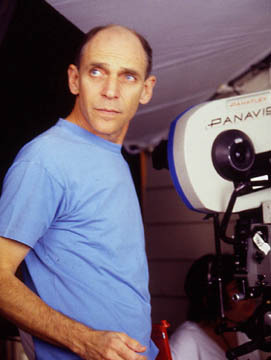 Sam has directed 22 theatrical feature films since completing his graduate studies in film at Loyola Marymount University. His first film, "ONE MORE CHANCE," starring Kirsty Alley, won prizes in major film festivals, and sparked the beginning of his career as a director. Subsequent films have become commercial hits and cult classics, especially the "AMERICAN NINJA" series starring Michael Dudikoff and the breakdance phenomenal “ELECTRIC BOOGALOO”. Sam Firstenberg has directed films ranging from musical to drama, comedy to action, sci-fi, thrillers and horror. Including special effects, complicated CGI, huge crowd scenes, elaborated chases, sophisticated action sequences, down to delicate dramatic moments. He spent several years as an in house director at Cannon Films, and his films have been distributed by Tristar, MGM, Paramount, and Warner Brothers. Through the years Firstenberg has worked with some of hollywood’s most highly regarded actors; Eric Roberts, Ice-T, Michael Madson, Kirsty Alley, Margaret Avery, Ernie Hudson, Hal Holbrook, Jeff Fahey, Robert Vaughn, Sean Young, Michael Dudikoff, John Rhys-Davies, Marc Dacascos, Grace Jones, Nick Cassevettes, Richard Moll, Dan Heday, Richard Kien and Seymour Cassel. Born in Poland, grew up in Jerusalem, and obtained his higher education in Los Angeles, where he now resides with his wife and three daughters. 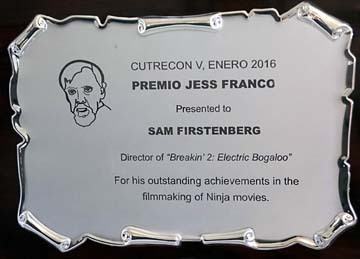 This web site is dedicated to the work of director Sam Firstenberg. It contains Biography, Filmography, Interviews, Stories, Posters, Photos, News, photo album, and more.